I had an idea at the beginning of 2016 to write a blog post everyday for all of 2016. I am proud to say that I have written a blog post everyday from January 1st, 2016 until May 14th, 2016, but it's time for a new direction. I 100% believe that blogging is necessary for my business; however, I don't believe that I have to blog 7 days a week to benefit my business. FYI, I didn't think that when I set the goal either. I simply thought that I'd see if I could do 366 blogs (it's leap year) in a row. I'm not giving up on blogging. I have been doing it for too long and too consistently. I will likely do a minimum of 3 posts per week which is easy for me and I may do 5 or even 7 on some weeks. My wife says that I am never at a loss for words. So if I'm not blogging 7 days a week, is it because I'm lazy and I give up on things. Absolutely Not! Actually, I'd love to write my first book before 2016 is over. So that will require some additional time. I also would like to consistently post at least once per week if not twice per week on LinkedIn. I already stay active with LinkedIn articles and currently have over 2,000 followers. It's not about being lazy and giving up. It's about a reallocation of time and likely still producing the same level of written content in 2016. It's important to be flexible and change direction as needed. 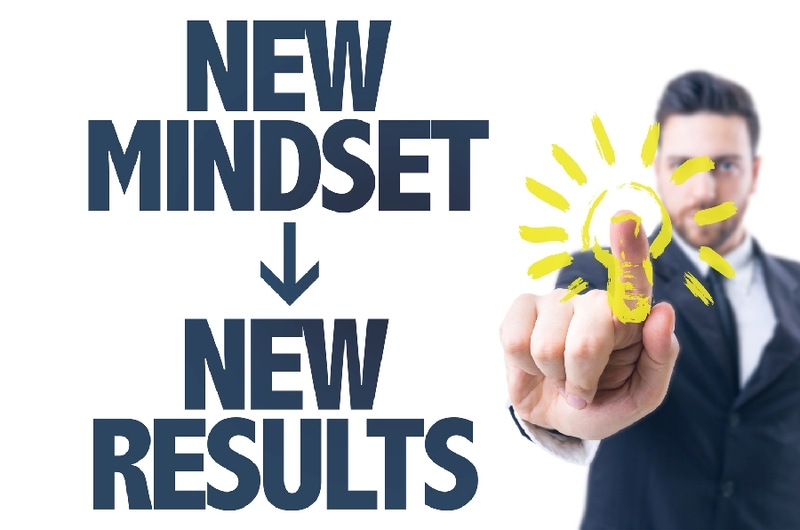 A new mindset can produce new results.